First I would say this is my third story but my other two did not get published. I know this time, definitely it will. I would like to say thank you for the Universe, Rhonda and her amazing team of The Secret and thank you for all the people who put their story on this website. Your stories have always inspired me lot. I will tell my story as short as I can. I had my first baby in 2008 when I was age 22 and weight 58 kg. I put on a lot of weight and I weighed about 100 kg. After the delivery I was only able to reduce my weight by just a few kilos and my weight stayed always in the 90’s. Then I had my second baby in 2015 and put on some more weight and went up to 107 kg. I have to say that my height is 5 ft 7 inches. I got to know about The Secret in 2015 and thought that I would apply it to create my perfect body. I started it in 2015 December and my target was first 90 kg because I thought it would be easy to achieve soon and my confidence would grow more. 2016 February I achieved my first weight loss goal of 90 kg and in April it was 86 kg. And now 2016 December I have gotten my weight down to almost 76 kg. Wow!! I am so amazed and the best part is I got down to this weight without doing any dieting. Thank you Rhonda and thank you so much to the Universe for my perfect, slender body. Now I can wear all the lovely clothes that I was dying to wear and my husband always appreciates me. I have set my new target weight of 58 kg to achieve within 3 months and I will let you guys know the results soon. 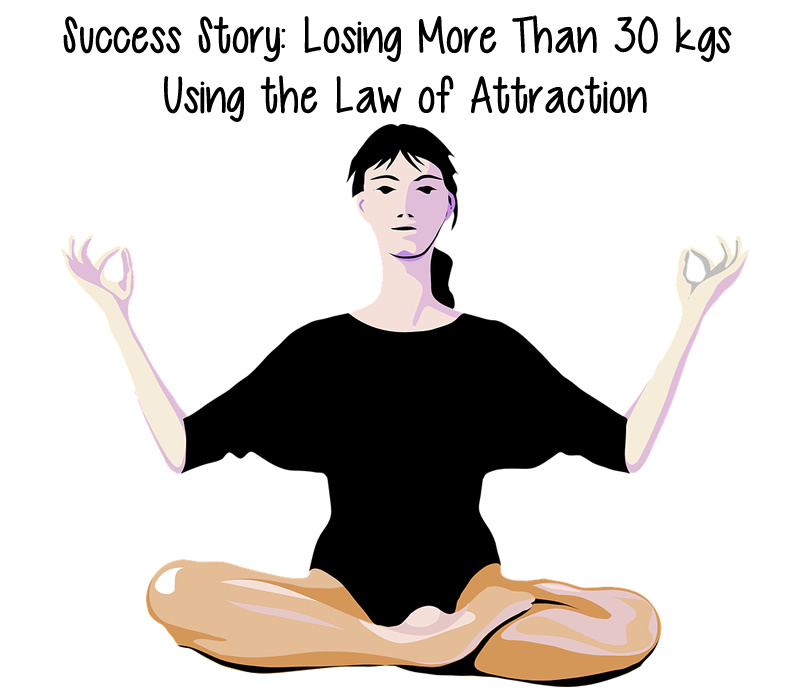 Not have not only manifested my perfect body, I have also manifested so many other things in this short time through the law of attraction. Once again, thank you so much Universe. About the Author: I am a English teacher, happily married and have two kids.